Facts, data, info, expert opinion and a reasonable, occasionally grumpy, voice on viruses: what they are, how they tick and the illnesses they may cause. Predicting influenza can be a gamble. Image from Pexels. Mainstream Australian media are reporting that influenza cases in Australia have dropped by 83 per cent. Doctors have also said this is the result of science, guesswork and “a bit of luck”. At face value that sounds like fantastic news. It appears to answer the question of “why is this season lower than last season” quickly and easily. And we all like a quick easy answer. Right? But, like me, perhaps you took a different meaning away from those headlines. The 2017 Australian influenza season was the biggest on record – regarding the number of laboratory-confirmed influenza virus detections. It was a monster. This year, 2018, has seen the smallest peak of the past five years. Neither were forecast in the popular media and this should tell you something: Influenza seasons are unpredictable. Couldn’t we just deal with that and stop expecting otherwise? One influenza season and another influenza season, are separate things. When someone says, cases have “dropped”, I read that cases are fewer than expected. But for influenza, there are only guesses as to what can be expected. 2017 was driven by a dominant virus that was a bit different from expected, by lots of influenza virus strains co-circulating, perhaps by less activity by other respiratory viruses, and by a vaccine which had mismatch issues from the start. So yes, the 2018 Australian influenza season – which is mostly over now – had fewer reported influenza cases than any season since before 2014. But it’s not 83% compared to something expected. And it’s not a “drop”. That percentage differs a lot depending on which year you compare against. Influenza seasons are not part of a continuum; they’re not a steady annual number that alwasy peak here and trough there. A lot happens between and during our influenza seasons. The safest time to accurately describe an influenza season is at the end of it. Why was the 2018 season smaller? 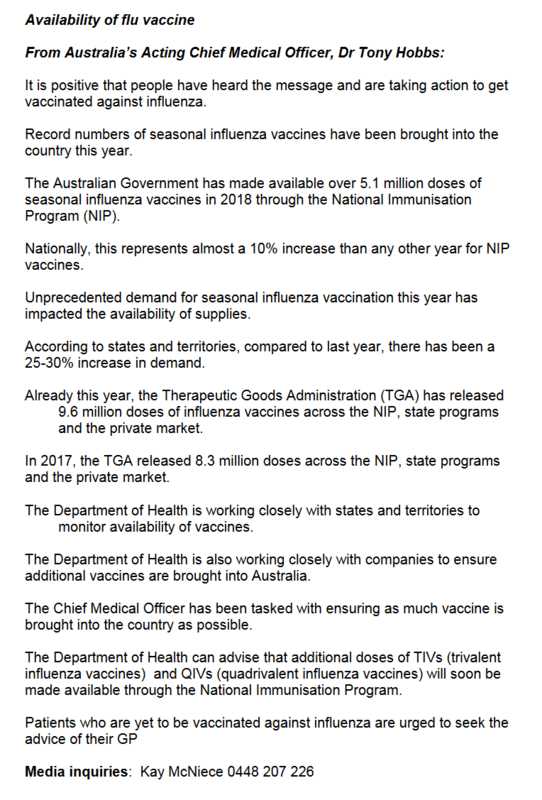 The public-communicated favourite theory in recent mainstream media seems to be that this influenza season is smaller in size because of all the vaccine uptake in Australia this year. It’s great that the media are supporting vaccines! It absolutely could be that a well-matched vaccine has protected a lot of people from influenza this year compared to previous years. From Australia’s Acting Chief Medical Officer, Dr Tony Hobbs. Click on image to enlarge. Influenza vaccine uptake was at record levels in 2018 and millions of doses were distributed, draining some stockpiles and requiring more to be purchased by the Government to fulfil demand. A demand that was based on another educated guess. Be sceptical and wait for studies. comparison of everyone to see who got infected, and in an ideal world, with which subtypes. In other words, a vaccine effectiveness study that goes a bit further. I’d also like more influenza viruses to routinely be whole-genome sequenced. I think we need to sample more and look harder at what happens to those viruses within a season. We also need to get better at interpreting those sequences and seeking ways to relate them to vaccine effectiveness. It might also be that the very large number of people who were infected in 2017, and above average numbers being infected around Easter 2018, retained immunity to that virus – or those viruses – if they were unlucky enough to be infected by more than one influenza virus subtype or strain. If highly similar, or identical influenza viruses strains were among those dominating our 2018 influenza season, that’s a natural infection “firebreak” that could have made a big difference to the transmission of influenza this year. This would all take some research to understand. There could additionally have been interference from other respiratory viruses – 2018 has been a big year for rhinoviruses and respiratory syncytial viruses in Australia. While infected and battling one respiratory virus, we may be less likely to acquire a new one for a time. We also can’t exclude that the influenza viruses around this season were somehow just poor spreaders or less pathogenic than in recent years. Again – we can’t unless we have data. There were likely multiple drivers of our smaller influenza season. Flashy can be memorable. From Pexels. That’s kinda confusing huh? Viruse do change through mutation but mutation alone doesn’t always mean a new and different virus will emerge. At least, it doesn’t in the sense of our immune system thinkgin it’s mettgin athe virus for the first time. Following influenza viruses out in the public domain is a bit like watching car races, sometimes you only pay attention to the flashy, crashy bits. In virus terms, those are the newest ones that cause the biggest health impacts. 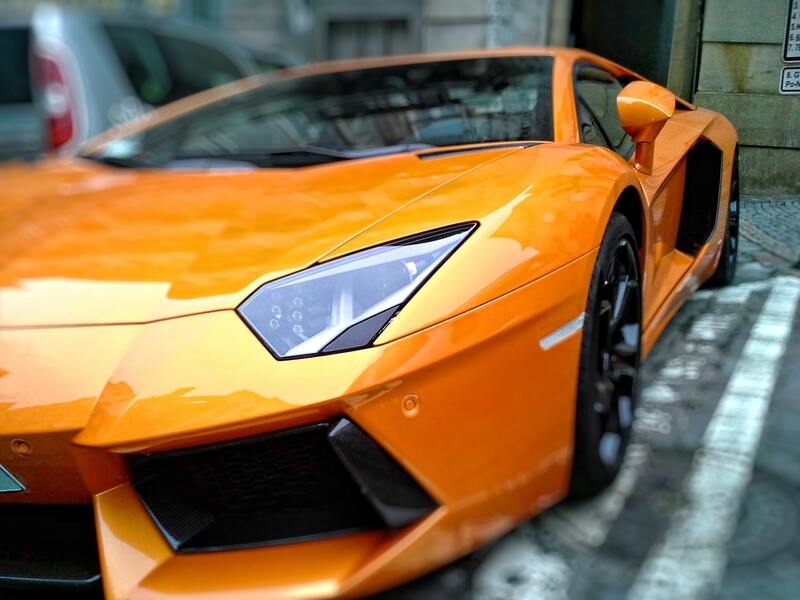 But they are not the only cars in town. I don’t have the data to hand to support this hypothesis, but since we’re talking hypothetically about so many other things, stick with me down this rabbit-hole a minute longer. Better defining the lifespan of distinct influenza viruses is an area I’d like to see more applied research on and more communication about. Past influenza viruses don’t just disappear in a puff of ducks. Strains can remain circulating for – who knows how long? During their time in our peak season, they have become their own distinct and transmissible viruses. Yes, each virus keeps on mutating, but not every strain will mutate to become a significantly different strain, obliterating that which came before in the process. Not every mutation is beneficial to the virus. The best mutants grow on. Viruses that transmit well (and they may have had a season or more to refine that process) and that are less well-known to the population’s immune memory, are most likely to keep spreading in vast numbers. As we know, most influenza infections don’t cause severe disease. It may be that we keep catching and passing on these “older” strains without even really noticing much of a health impact. Another area that would be interesting to see studied and why more genetic analyses would be good. 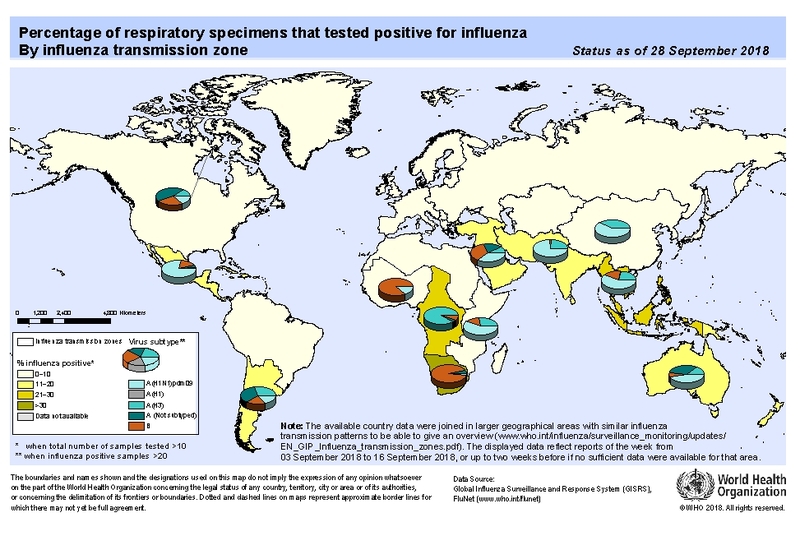 World Health Organization Influenza update. Click on image to enlarge. At times it’s clear that influenza science is nowhere near as innovative or flexible as the viruses it seeks to understand and retard. 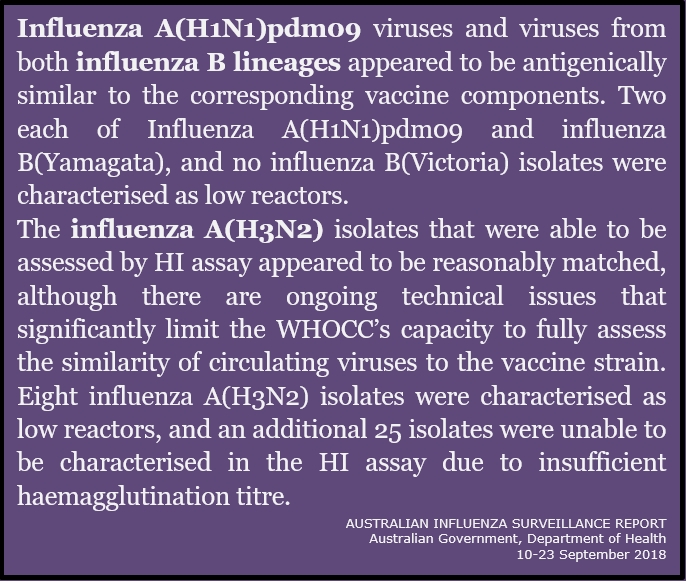 Australian influenza surveillance report from the Australian Government. Click on image to enlarge. When it comes to what the next influenza season will do, we often struggle. Considering the lives at stake, we struggle more than we should. There’s plenty of evidence for that. And we’ve entrenched some old technologies, methods and thinking that ensure the struggle thrives. Influenza vaccines are a bit different. Sure, there is a big component of prediction to the selection of the next influenza vaccine formulation. But that prediction is based on global patterns of influenza coming and going, a heap of monitoring, a wealth of experts and expertise, modelling, experience….it’s not “guesswork”. Science underpins prediction. Something we can bank on is that a routinely reliable vaccine – should we develop one sometime in the future – can reduce the serious effects of influenza. In Australia this year, the media were preparing the population for a big season. It was a small one. Some mainstream media spoke to us about the hostile Brisbane (FluB) virus season to come – it was an 80%+ dominated FluA season. There were calls for vigilance after the Brisbane exhibition. An influenza wave was sure to follow it. 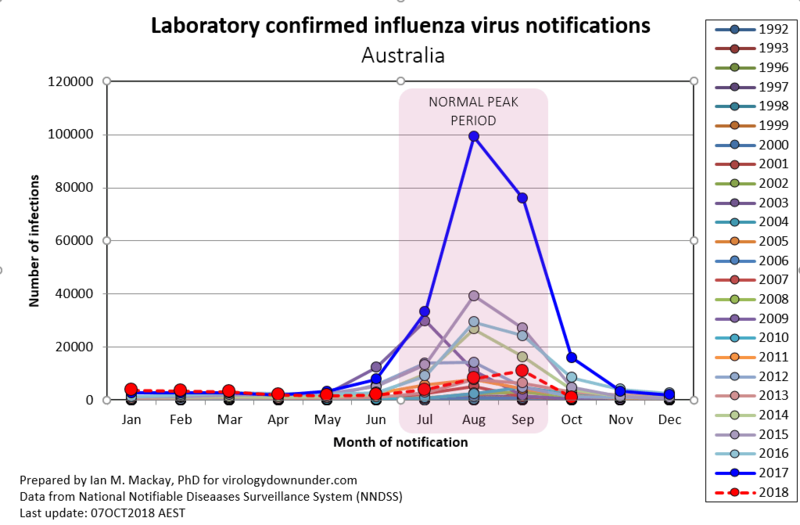 But, that’s normal pattern for Queensland influenza peaks. Influenza seasons are unpredictable. When reading about influenza in the popular media try and remember these things: it’s unpredictable, it is not predictable, we can’t predict it. While influenza seasons are unpredictable, the influenza vaccine is the only thing that demonstrates proven and safe prevention of influenza and its complications. ← Previous Previous post: How many cold viruses in one place, in one season? All opinions are my own and do not represent medical advice or the views of any institution. All graphics made by me are free-to-use. Please just cite the particular page, blog and me. A heads-up would be nice, but that can happen later. Copyright © 2019 Virology Down Under. All Rights Reserved.